The debate will take place on Monday, October 29, 2018, at 6 pm at the Macaya Palace. In this debate, it is proposed to reflect on three issues, especially focused on vehicle decisions: how will they be taken and in accordance with what? Who will make the decision? The buyer or those vulnerable? How do we decide who are vulnerable in each case? We will have professionals from different fields, such as the Public Administration, industry, academia and ethics professionals. We will understand what changes, as citizens, will involve the fact of having smart vehicles, the model that comes along and how our cities and metropolitan areas are preparing for the change. The participants of the debate will be Dr. Antonio M. López, CVC researcher and UAB professor, Mar Alarcón, CEO of Social Car, Núria Vallès, researcher in ethics and robotics at the UAB, José Manuel Barrios, director of Innovation at IDIADA and Pere Torres, director of the Metropolitan Transport Authority. Gema Revuelta, director of the Center of Studies of Science, Communication and Society (SCS) will be in charge of moderating the debate. 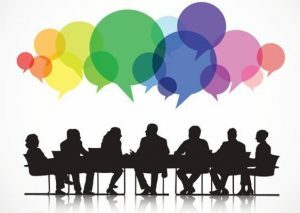 The debate is included in the project “Artificial Intelligence, Ethics and Citizen Participation”, a project by Palau Macaya, funded by Obra Social La Caixa and organised by the Computer Vision Center.